Next one is Tezuka Buchou!!! Ah... shelf... space... none... SQUEEZE!!!!!!!!!!!!!!!!!!!! Figure 4 will be Shiraishi, and 5 will be Yukimura. I wonder what they look like!!! Yeah I know!! 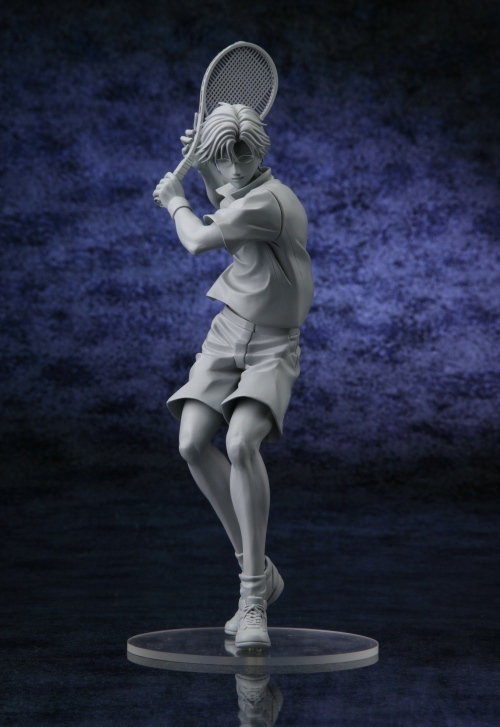 And Tezuka buchou hasn't gotten much love lately from the collectibles industry, so I'm really glad they're making one of him!!! Oh I see~ Nono, those are from Sega.